Hi lovelies! Today I have another guest post for you, this time from the lovely Bethany over at B Nailed To Perfection. Read on to see the gorgeous mani she created for us all. So the lovely Kirsty is away and asked me if I would kindly write her a blog post....so I said yes of course :) Today's mani is a quick simple one using purple which I knows Kirsty loves! 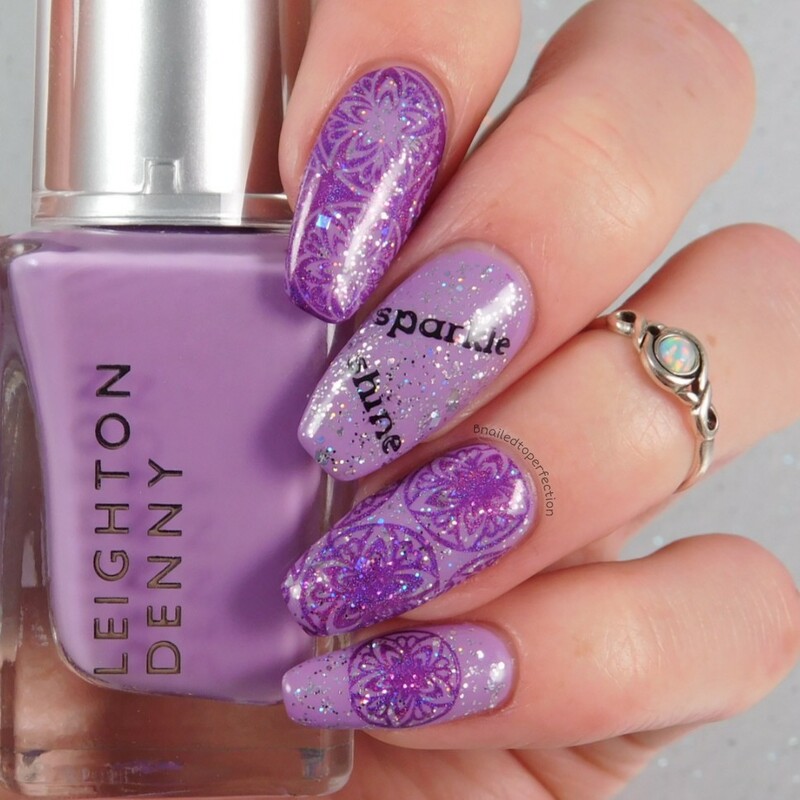 I used two Leighton Denny polishes. The purple is Dress To Impress and it's a gorgeous lilac with a hint of shimmer ....which you can't see as I've smothered it with a glitter topper haha!! 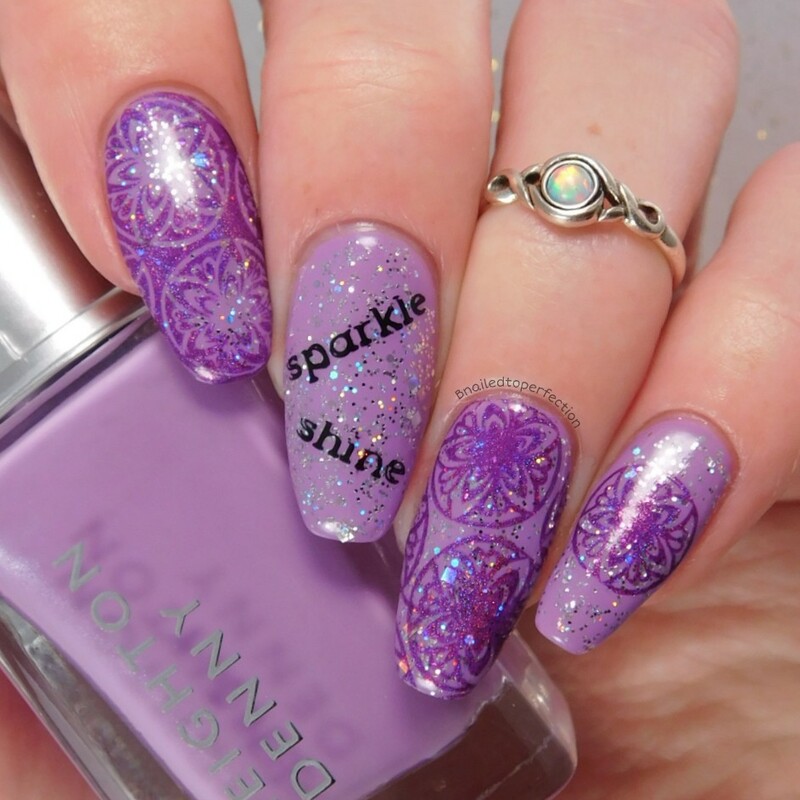 Twinkle Twinkle is gorgeous and was perfect to top this lovely lilac. 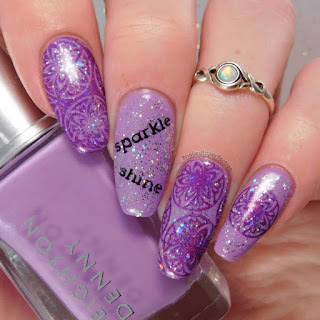 I stamped using Uber Chic 16-01 and I thought these words were very fitting for this sparkly design. The polishes are Medusa from EDK and Black from Colour Alike and I stamped using Tiffany Duo Stamper from Nail-Artisan. 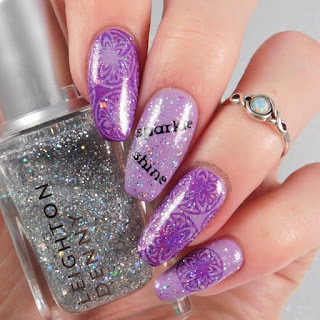 Thank you Bethany for the gorgeous mani and post! Make sure to follow Bethany's blog here, and here Instagram page here. This is it for guest posts now, I shall be back from my holiday shortly to share more nail goodies.